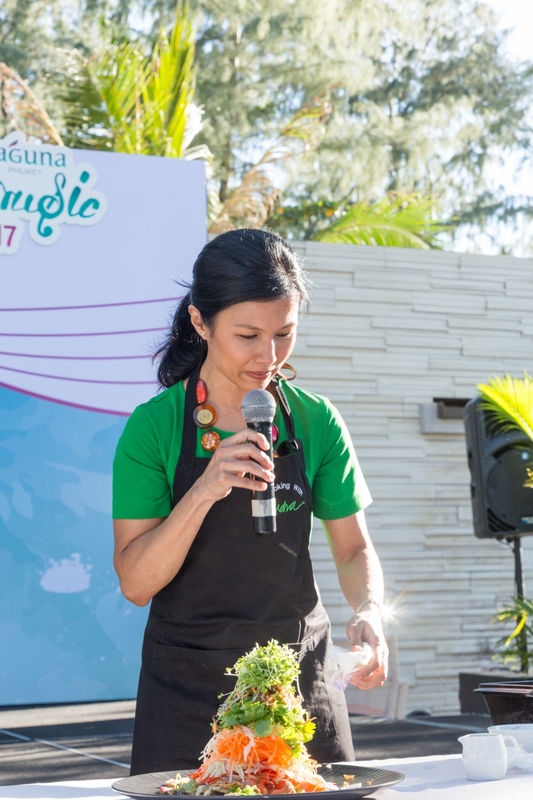 (Thursday 9 February), Laguna Phuket unveiled its newest “Laguna Phuket Food & Music Festival” at a special media conference at XANA Beach Club by the beautiful Bangtao Beach in Phuket, Thailand. Scheduled to take place at the resort’s various scenic locations during Friday 3 – Sunday 5 March this year, the inaugural Laguna Phuket Food & Music Festival is a 3-day charity food festival with live music, entertainment and celebrity chefs and stars appearances. 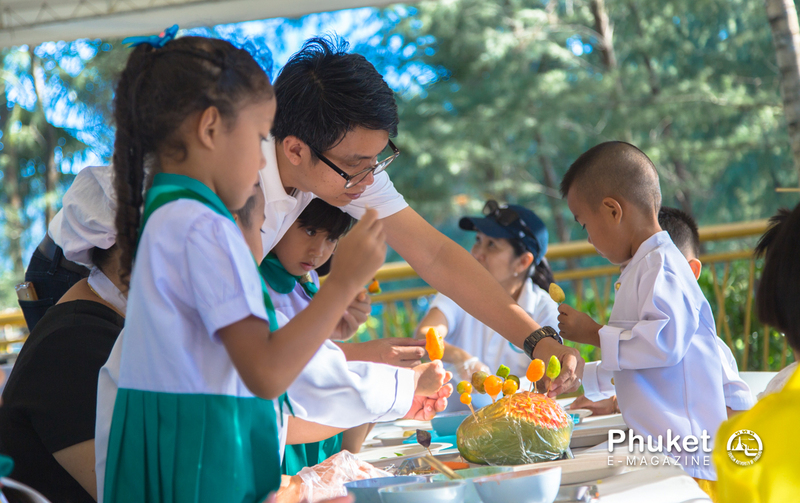 The Festival is aimed to heighten Phuket Province’s status as a “City of Gastronomy” conferred by the UNESCO, launch and raise funds for “Children First Fund” specially set up to support Phuket orphanages, as well as to create yet another lifestyle destination event within Laguna Phuket resort complex in celebration of its 30th Anniversary in 2017. The conference was addressed by Ms. Siwaporn Chuasawat, Vice Governor of Phuket; Dr. Kosol Taengutai, Deputy Mayor of Phuket City Municipality and President of the Thai Peranakan Association; Mr. David Seet, Senior Assistant Vice President, Laguna Phuket; Ms. Anoma Wongyai, Director of Tourism Authority of Thailand, Phuket Office; and Chef Audra Morrice, Creative Chef behind the food design and creation for the Festival. “The Phuket Province looks forward to welcoming visitors from Thailand and around the world to the Festival and many other events on the island. 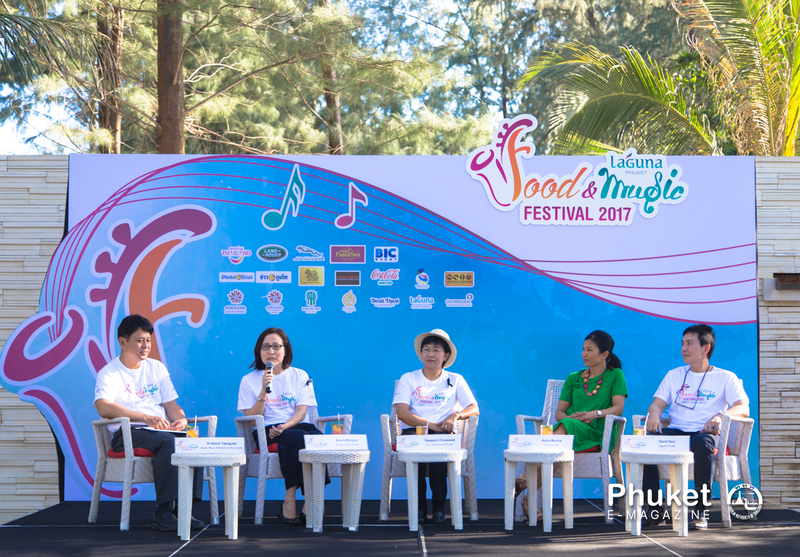 Laguna Phuket Food & Music Festival is hoped to help present the authentic Phuket food and culture adored by Thais and foreigners,” said Ms. Siwaporn Chuasawat, Vice Governor of Phuket. “Special thanks to Phuket Province, City of Phuket Municipality, the Thai Peranakan Association, TAT, Chef Audra, members of the press and all of our Festival’s partners and sponsors who help make this first edition possible,” said Mr. David Seet, SAVP of Laguna Phuket representing the host. 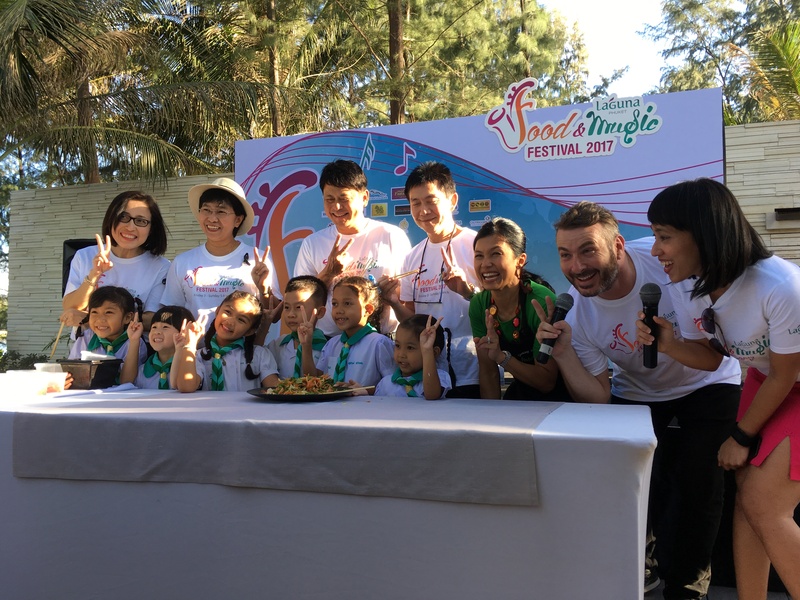 “We really hope that the fund raised from the Festival for Children First Fund will fruitfully support the nutrition of needy children in Phuket orphanages, and ‘Laguna Phuket Food & Music Festival’ will become another permanent installation on Phuket tourism’s calendar,” he concluded. 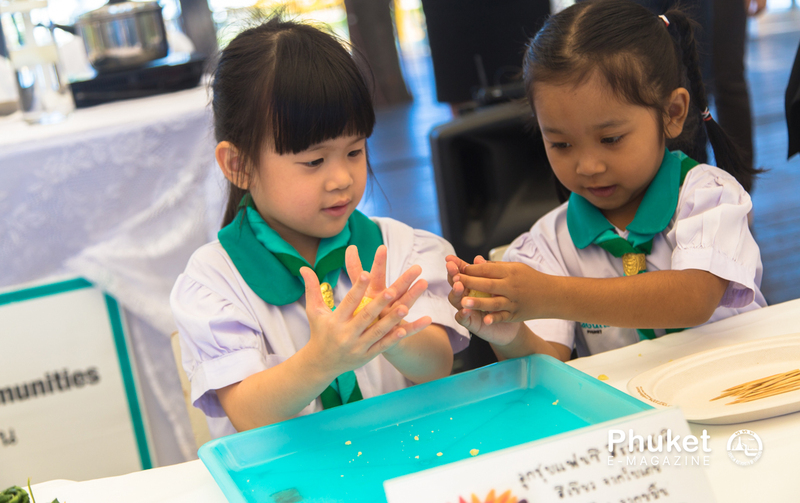 The media showcase also included a Thai dessert station where delectable fruit imitations (Kanom Look Choup) were being demonstrated by Phuket children. 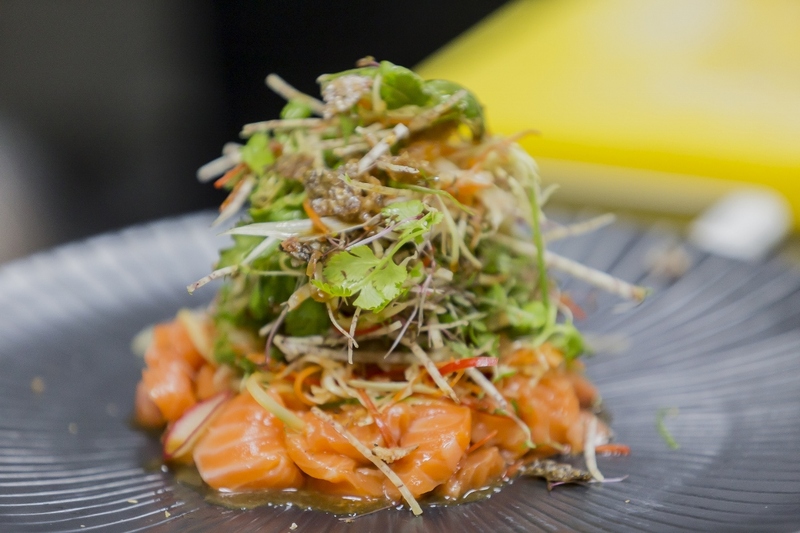 The showcase came to a conclusion with a cooking demo of salmon “Lo Hei” (sashimi salad) by Celebrity Chef Audra Morrice who was appointed the Creative Chef of Laguna Phuket Food & Music Festival. Celebrity Chef Audra Morrice’s culinary career began after her stint as a finalist in MasterChef Australia 2012. She is currently one of the three judges on MasterChef Asia together with three-Michelin-starred chef Bruno Ménard and stellar restaurateur Susur Lee. She runs a successful catering business and cooking classes. Her cooking style is eclectically Asian, drawing influence from her Singaporean Chinese-Indian heritage. She hosts her own TV cooking series, “Tasty Conversations” broadcasting from Australia across Asia and is the author of “My Kitchen, Your Table” cookbook. She is also an Ambassador with the Singapore Tourism Board. The Festival’s highlight, a star-studded Charity Gala Dinner with auctions, will be held on 4 March at the resort’s grand Latitude Marquee with multiple celebrity stars’ appearance such as Black ‘n’ Blue band, Gam, Fivera, Jazziam – to name only a few, priced at THB 3,000 per person or THB 28,000 for a table of ten. Gala tickets are available for sale from 1 February 2017 at all Laguna Phuket resorts – Angsana Laguna Phuket, Angsana Villas Resort Phuket, Banyan Tree Phuket, Cassia Phuket, Dusit Thani Laguna Phuket, Laguna Holiday Club Phuket Resort and Outrigger Laguna Phuket Beach Resort; as well as Laguna Tours Desk and Laguna Tours Office in Canal Village and online at ticket@lagunaphuket.com. Advance booking is recommended.